Each night, the Reflexion Portal reports the number of messages blocked by category, including spam, viruses, and messages sent to unknown users, for both the last 30 days and the year-to-date to ConnectWise. The statistics are automatically displayed in the ConnectWise Management Summary for presentation to each customer at the end of the month. Configuration is a two-step process: first, configure ConnectWise to accept SpamStats for all domains configured in Reflexion; second, configure Reflexion to publish SpamStats to ConnectWise. Additionally, Reflexion will update a ConnectWise Agreement Addition for Reflexion Total Control, RADAR, and RTCEncrypt to automate the billing process for our mutual partners. Automatically update Agreement Addition quantity in ConnectWise Manage for all of Reflexion's Hosted Services, including email security, email archiving and email encryption. Underscore the value that you provide to your clients with Executive Reporting Integration – Key metrics on total account messages, total messages processed, email viruses removed, spam messages filtered, etc., for both the last 30 days and year-to-date. Executive Reporting integration - Key metrics on total account messages, total messages processed, email viruses removed, spam messages filtered, etc. Steve Hay, Yardstick Technologies, Inc.
Reflexion has fallen apart. They have always had terrible support but their product was solid. They have now deteriorated and in the last 6 weeks the product has become so bad that our customers are threatening to fire us if we cannot fix the problem. Even Viagra spam is getting through, but legitimate E-mails are increasingly being blocked. We made the decision today on another service and are getting off Reflexion as quickly as possible to save our accounts. We moved from another provider to Reflexion for their TotalControl spam filtering service - 6 months ago. Our experience has been very positive. They have a great backend UI that take a little time to learn but offers a lot of features we were looking for. When we have engaged their support team, they have responded promptly to our questions and we are very pleased. Ease of integration into CW is awesome - product is continuously developing new features -- support team is very responsive -- we have been partnering with Reflexion for more than 5 years and are very happy with the product, service and integration -- it just works. I have been a Reflexion partner and user for 5 years. Their total package of Email security, Email Archiving and Encryption provides my clients and myself piece of mind. I also love the address on the fly as well as other features. I am a Reflexion partner for life. 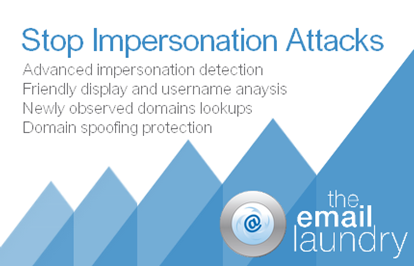 We sell the e-mail encryption product for all of our HIPAA customers. It couldn't be easier to setup and use. We use the LDAP integration along with the HIPAA templates to automatically encrypt private data. The users don't have anything to do normally except send the message containing private data. Reflection takes care of the rest. As an added bonus with the product most of recipients of the encrypted emails also use the same service so these emails arrive in the respective mailboxes just like normal email. It works perfectly. Thanks Reflexion for solving this problem! Fantastic Spam Filtering, Stopped the Cryptolocker virus from coming onto our network! When we realized we need to change our Email Security company, Reflexion was an easy choice. 1) The user group meeting I attended in Dallas gave really good explanation. 2) Talking with the technicians from Reflexion made it clear that they knew what they were talking about in terms of threats, spam and security. The engineers were able to answer all our questions. Now looking back, it was a great choice. Our customers loves the interface and we love the happy customers! We have been using Reflexion for a little over a month now evaluating it as a potential replacement for our previous anti-spam solution for our clients. Immediately we were blown away with how easy it was to set up! The interface by far surpasses the previous solution we were using, and so far the level of protection and feature set are quite impressive as well. So far we've only been able to get the statistics integration to work with ConnectWise, which is cool. They have a billing integration piece, which has not yet been able to work for us at the time of this update, but if it does, this would be a perfect review! Highly recommended product. Reflexion is a very solid service. It has worked well for us over the past three years. They are professional and the services just do what they says they are going to do. Been using Reflexion for several years and are glad we do! Great product! We switched from Postini to Reflexion earlier this year and have been very happy. The spam filtering is spot on and the interface is extremely easy to use. The integration with ConnectWise for billing is great. No more updating in two places. We started using Reflexion and immediately saw results! Starting with our internal systems, it cut down the junk, was a breeze to setup and seems to have low false positives! We are implementing it with one of our choosier clients and expect it to be a win! Plus now we have a solution to provide encrypted outbound email for our HIPAA customers! For those familiar with Roaring Penguin, this interface is much less cumbersome and easier to configure and seems to provide at least the same filtering results! As a 10-year veteran in the managed services space, our company has learned a couple valuable lessons. First, it's all about recurring revenues. Second, the PEOPLE we choose to do business with are just as important as the products and services they provide. Those lessons have helped us appreciate the people at Reflexion and services they provide. 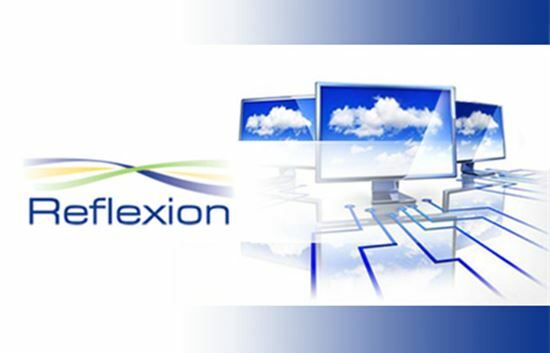 Reflexion has become one of the true partners in our business, providing sales support, technical support and solid customer service - while seamlessly providing a world-class email management solution that generates measurable recurring revenue. Stated simply, I wish all of our partners were more like Reflexion! Andy Rudd, Fixed Bid Consulting Inc.
We have used Reflexion for 4 years and they provide the best spam filtering and Email archiving services i have ever used.